Featuring true-to-life color and a smart design, the ViewSonic® LightStream Pro7827HD 1080p projector delivers everything you’ll need for your ultimate big screen home entertainment. It reproduces cinema grade image quality with RGBRGB color wheel, realizing Rec.709 color standard in Full HD resolution assuring a breathtaking cinema experience right at your home. Oscar Academy Award®-Winning TI DLP® DMD Display Technology: DLP display technology combines accurate, long lasting color with high native contrast ratios. 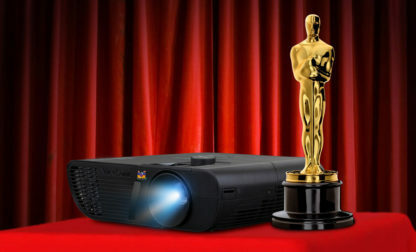 Nowadays, about 90% of Movie Theaters use DLP technology for Digital Projection. The technology that started a revolution just got better! Cinema SuperColor™ Technology: Best in class movie colors, ViewSonic delivers amazing Cinema SuperColor™ which has taken movie colour schemes into consideration. 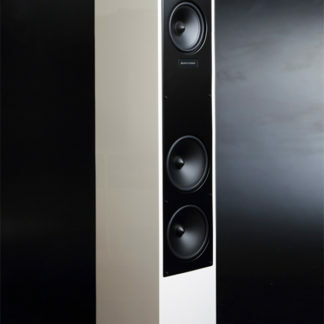 It ‘remasters’ with intelligent colour schemes which relates colors for aesthetic color harmonies. For example, a ‘Complementary Colour Scheme’ features two main opposing colors, creating high contrast viewing, and an Analogous Color Scheme, features similar colors next to each other, creating a serene and comfortable sensation. Cinema SuperColor™ technology brings it all together for a fantastic cinema experience which guarantees deep, rich, pleasing colour balance. 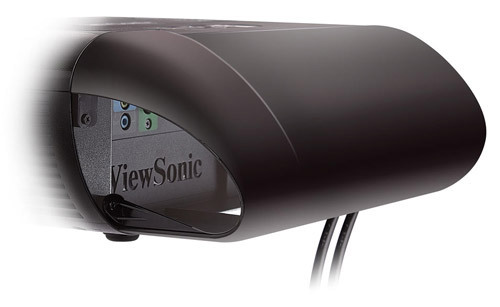 Crisp Images: The ViewSonic Pro7827HD projector utilizes “True Black” and “High Contrast Ratio” of DLP technology while 3LCD/LCD projectors utilize fake black. It improves projection accuracy, creating razor-sharp images for cinema, unlike other well-known technology projectors that use dark mauve/gray instead of “True Black” because of limited technology. Cinema SuperColor™ RGBRGB Color Wheel for Brilliant Colour Gradient: The SuperColor™ RGBRGB Color Wheel adopts a special coating to filter segmental spectrums of RGB, to intensify Red, Green, and Blue colors. 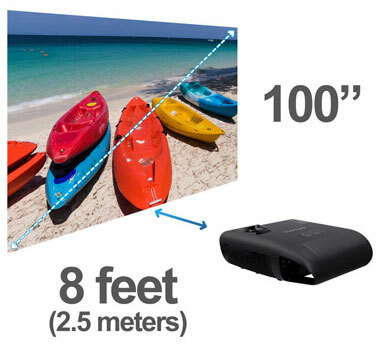 It also controls Hue and Saturation enhancement, highlighting breathtaking images like sunrises, sunsets, or blue skies with intense color gradients, while other projectors only partially cover complex color scenes. International Rec.709 Colours: ITU (International Telecommunication Union) recommends Rec.709 as the standards for high-definition TV. The Rec. 709 defines the color range, resolution, frame rate, and display specifications that applies to a variety of HD devices and DVDs/Blu-ray DVDs. It increases visual performance to the human eye. With just one mode, viewers are presented with a cinema-like experience! DarkChip 3 DMD Chip Enhances Contrast Levels: The DarkChip 3 DMD chip is designed for high-definition video rendering. It uses mirror reflections and a ±12 degree digital control method to project vivid, Full HD 1080p images. 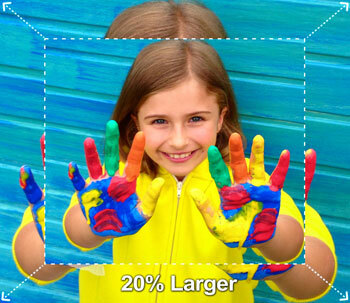 The chip delivers higher contrast without light transmission defects and eliminates noise to display true color depth. 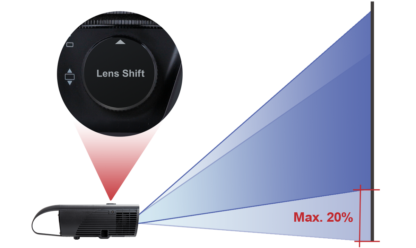 A Tool-free Knob for Vertical Image Position: For simple installation (simply level the projector), without picture-degrading ‘keystone’ adjustments, the lens shift knob is an invaluable image-positioning device. This tool-free knob controls the lens shift function so users can enjoy a perfectly retangular projection setup everywhere. If further adjustment is needed, for example if walls might not be perfectly plumb, users can also utilize the 4 corner adjustment feature as well as horizontal and vertical keystone correction to eliminate crooked and distorted images for a perfectly proportioned picture every time. 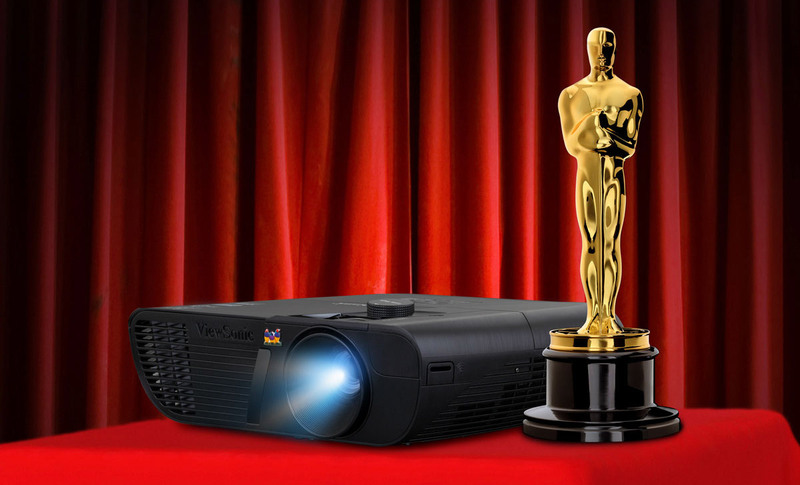 Full HD 1080p Is The Finest Picture Quality under $10K: This ViewSonic projector features Full HD 1920×1080 (1080p) native resolution for the sharpest and clearest picture available. It delivers exceptional details and astonishing clarity for the best viewing experience from HDTV and BluRay, surpassing more expensive ‘4K’ alternative technologies. It is perfect for watching all types of high definition formats (1080p/1080i/720p) and content, including movies, videos, sports, games, and TV, without any distortion or scaling of the original video format. Wide Optical Zoom Lens: Equipped with a 1.3x optical zoom lens, the LightStream Pro7827HD projector provides mounting flexibility with a wider throw distance range. This zoom lens also enables the projector to project images up to 20% larger than a projector equipped with a conventional 1.1x lens. And a short throw lens enables large images to be projected from short distances in small rooms. This means there are no distracting shadows on the projected image, and no blinding lights in the eyes of presenters. ISF Certified Image Calibration Customizable Day and Night Modes: This projector provides the calibration tools to allow ISF-certified technicians to provide on-site tuning of Day and Night modes. The customized fine-tuned mechanism will become the default option to fit each user’s scenario requirement in bright and dark environments. SonicExpert™ Technology: Following a groundbreaking proprietary speaker and chamber design, LightStream projectors deliver full-range sound for portable presentations where a home theater system might not be present – or practical. 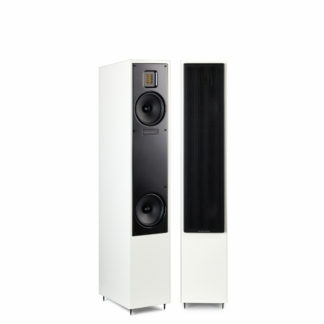 The compact 10W speaker and best-fit Sound Response Curve, delivers class-leasing ‘inbuilt’ sound form the projector itself. 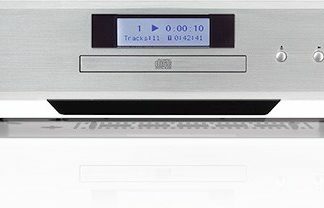 3 x HDMI Inputs with 3D Blu-ray Ready: Designed with 3 x HDMI ports, this projector can display 3D images directly from 3D Blu-ray players – if you like that sort of thing – perfect for connecting to any HDMI-enabled device. PortAll™ : Secure MHL/HDMI Port For A Clean Design: ViewSonic’s innovative PortAll™ feature – a hidden compartment with an integrated and secure MHL/HDMI port – lets you discretely stream multimedia content from a concealed wireless dongle device. 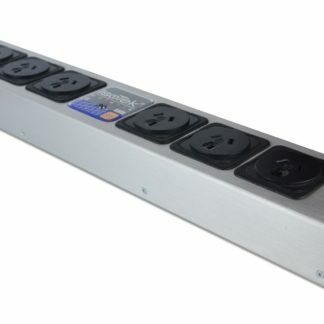 High-Powered USB Charging Port: 5V/2A USB and Micro USB ports deliver more charging power than a normal USB port, allowing users to charge mobile devices in less time. 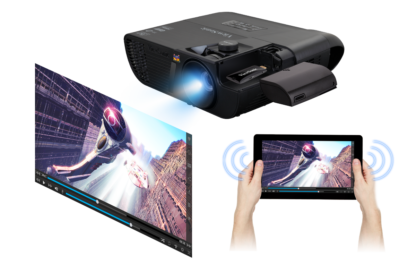 In addition, wireless HDMI dongles, such as ViewSonic WPG-300 or Google ChromCast can be plugged into the projector’s HDMI port while being powered by a USB cable plugged into the USB port for Full HD contents. Smart Design: A cable management hood is included to connect onto the back of the projector and hide unsightly cables and exposed ports. An easy-access top lamp door enables simple lamp maintenance and replacement. The tactile keypad is raised with concave buttons that assist in making projector set up easy in dark environments.